Fishing waders are available in different styles, lengths and fabrics. Brands such as Hodgman, Simms and Endura make a variety of styles in neoprene and breathable materials. Choosing what is best for you will depend on several factors. In addition to having the proper waders you will also need the following items fly rods fly reels fly line wading boots artificial flies fishing vests, gear and you will discover the need for polarized sunglasses and proper apparel. Once you have all of these items you will be ready to fly fish. So how do you know what to purchase? 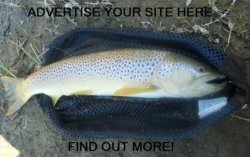 I have links to several fly fishing websites that I work with. If you are looking for affordable fly fishing gear and a wide selection then take a look at my Fly Shop. I have selected some of the most popular items that Amazon offers and put it together. They have thousands of products to choose from, and they will ship directly to your home or business. Most fishing will be done in warm weather, and in water that is not freezing so there is no need for them to be insulated. When they are breathable they give you the body comfort you need during the hot months, which is typically when most of us fish, and provide adequate insulation from cold water. You should get a stocking foot type, not boot foot type, or hip type. A boot foot type eliminates the need for fly fishing boots, but they are heavier and bulkier. You should treat the waders and the fly-fishing boots as two separate items and purchase stocking foot type. Hip waders go from your feet up each leg to the hip and some have boots attached and others do not. Because these only come up to your hip they are typically only used in shallow slow moving water, so they set limits on where you can fish. If you are interested in a stocking foot or boot type then there is one more thing to consider. They are available in waste high and in chest high models. If you plan on using a float tube you should purchase chest high because you will typically be in water that is higher than your waist. Waist high will limit how deep of water you can stand in without getting wet. There are two main types of material that need considered. Neoprene are best for cold weather fishing. They range in thickness from 3mm for warmer areas to 5mm for the colder environments. The problem with Neoprene is that they are not breathable so during summer months they can be quite uncomfortable because they won’t let your body heat escape. When they are breathable they do a great job of keeping you dry, and they allow the body heat to escape, providing a more comfortable experience. There are many types of materials used to make them breathable, and the better the material the more they will cost you. In an effort to help preserve our ecology you should always rinse clean your waders after use especially when you know that you will be on a different body of water the next time you go fishing. This will help reduce what is transferred between two or more ecosystems. You can purchase for less than $60 and you can spend well over $400. When you fly fish for 6-10 hours at a time it is very important to be comfortable. Your best results will cost $150 or more. They will benefit you most in the long run. In addition to Amazon products in my Fly Shop you can find great products at these other online retailers. Horco-Tex waterproof, breathable technology ensures total dry comfort. A waterproof zipper makes it easy to slip these waders on and off. Rugged three-layer construction Guard against wear. H-style elastic suspenders adjust for a custom fit. Two inside zippered mesh storage pockets. Neoprene stockingfeet. Built-in gravel Guard with lace hooks. Sierra Trading Post: Save 35-70% on Outdoor Gear and Apparel. This is an on line store that has some fly fishing equipment and apparel but there is limited selection. If you were on a limited budget this would be a good place to look. 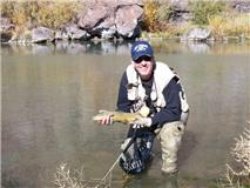 Leland Fly Fishing Outfitters This is a complete on-line store as well like Cabela's and is well known in the fly fishing industry. Click on their link to see what equipment is available from them. Their pricing will be comparable to Cabela's. Various Fly Shops and Bait Shops listed on the fly-fishing by state pages. This would be a great place to go to talk to someone face to face that is knowledgeable of the area and can make recommendations that would fit your budget. If you are looking for fly fishing flies and other tools and accessories then you should go to Big Fly Co. This is where I get my flies, tippet, leader and tools. Premium fishing flies from 45 cents each. They also provide free shipping for qualifying orders.....it is easy to qualify. Leave waders page - find a great place to fish near you. Receive regular newsletters about fly-fishing. Featuring great specials from our affiliate sponsors, new fish photos, tactics, product reviews and other fly-fishing articles. Fill out the form below to subscribe. Fish On! I promise to use it only to send you Fish On! News Letter. I had 2 fishing trips in a row that I caught 18 fish. Read my fish story or write your own story. ABOUT ME. I am an average family man who loves to fly fish and still balance my family, career and other interests. I know I am not the only person like that. Click my picture below to find out more about me. STREAM FISHING TIP. Water levels are very important. 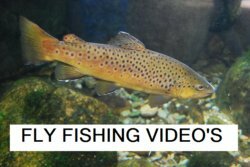 So any sudden increase or decrease in the water levels can really change fishing. Be sure to check the most recent river flows for the river you want to fish to see the recent levels. Click on below picture for stream flows. Fishing Etiquette is important. When a fly-fisherman is fishing an area you need to be respectful and not crowd the other anglers. Most fly fisherman will work an area of the river up and down from the spot they are currently at. You should allow them about 150’ in either direction as their own space.